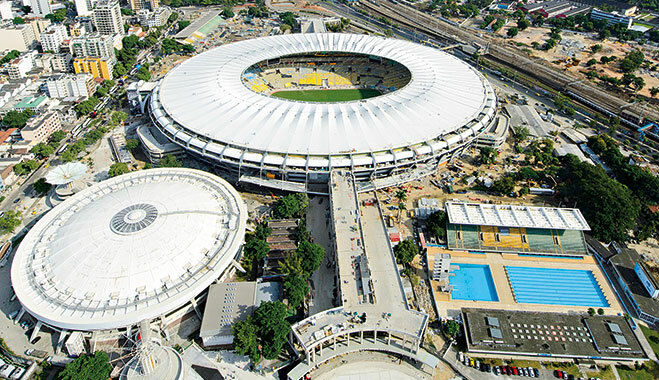 Despite the boost in tourism and the increase in jobs that the 2016 Olympic Games in Rio de Janeiro will bring for the city and state, the event is no cure for the economic ills that Brazil is currently facing. The story was much the same when the country hosted the 2014 FIFA World Cup, which, while helping boost tourism and productivity, was unable to do so on the magnitude necessary to drag the eighth-largest economy on the planet out of the crisis that it found itself in then and is still grappling with now. Despite the government’s optimism, Brazil struggled to entice the 3.5 billion people watching the World Cup on their TV sets to fly out and experience the event in the flesh. And while it did manage to pull in a little over a million foreign visitors to the country for the month-long spectacle – exceeding the 600,000 that its tourism board had predicted – it pales in comparison to the two million visitors that Germany welcomed when it hosted the event in 2006. The FIFA World Cup was originally billed at a little over $1bn, but ended up costing the taxpayer more than $11bn. The story is much the same for the upcoming Olympics, with the event scheduled to cost a little over $15bn. The government claims that it will improve the global image of Brazil, reminding investors of the huge economic potential of the country, but it is difficult to quantify to what extent. One thing is for certain: the Olympics will help rally the country in the aftermath of widespread corruption allegations – something that the country had thought was a relic of its distant past. With the games fast approaching, many are hoping that the country can use the event as a springboard to move forward and tackle the fundamental weaknesses in its economy, helping it to realise its full potential. Two years ago in March, Federal Police carried out an investigation into money laundering and allegations of corruption at the state-owned oil company Petrobras. During the course of their investigations police discovered that the company’s board of directors had allegedly been accepting bribes from various construction companies in exchange for lucrative development contracts. The fallout from what is now referred to as the ‘Petrolão scandal’ has been huge to say the least. Investor confidence, both inside and outside Brazil, has suffered greatly. The corruption cases have added an extra layer of pressure on the country’s economy, which has to deal with a depressed commodities market and a global reduction in demand for its exports brought on by the economic slowdown in China. 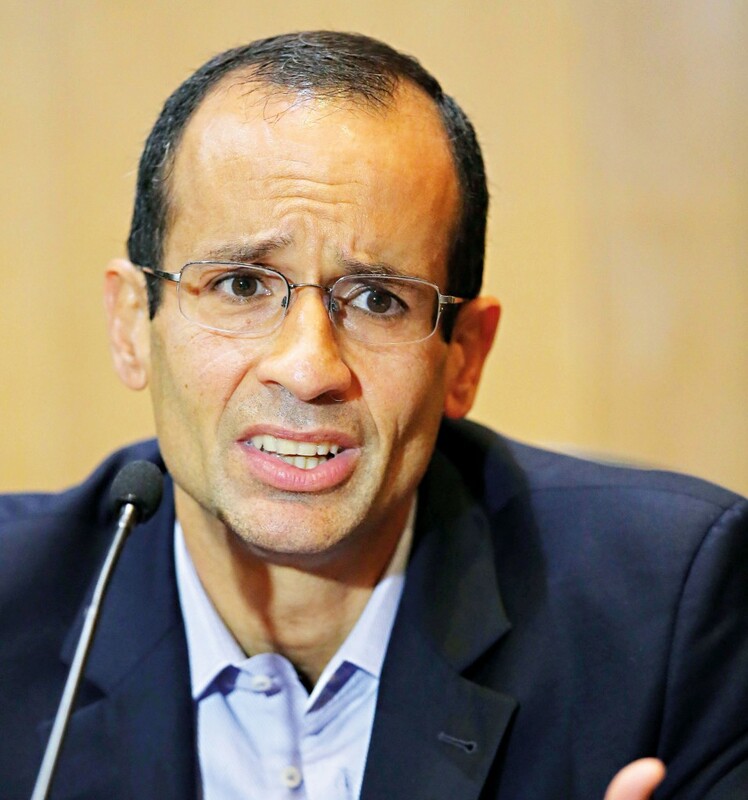 The arrest of prominent business leaders such as Marcelo Odebrecht and André Esteves, along with the detention of major politicians like Delcídio do Amaral at a time when the country needs strong leadership has created a real sense of disappointment among the Brazilian people. Not only has the corruption scandal stripped the country of the leadership it needs to guide it through the current crisis, but it has also reminded those from Brazil that corruption is still alive and well. Many commentators are hoping that the Olympic Games in Rio will help the country heal from the recent bout of scandals, acting as a beacon for the country to rally and unite around. “Brazilians need economic growth, yes, but they also need dreams”, said Lourdes Casanova, a Senior Lecturer and Director of the Emerging Markets Institute at the Johnson School of Business at Cornell University. “The Olympic Games is an opportunity for Brazil to show the world that it has come of age and is capable of standing side by side with other economic powers. It would be foolish to write the Brazilian economy off, as so many have already done. Four short years ago, the country was the favourite of emerging markets. Since then, however, it has suffered greatly from the collapse of commodity prices and is discovering just how dependent it is on natural resources to sustain its economic prosperity. The country’s main export destinations are China ($46.1bn), the US ($25.2bn), Argentina ($19.3bn), the Netherlands ($16.3bn) and Japan ($8.58bn), all of which are dealing with their own unique set of economic challenges, leading to a huge decrease in demand for Brazilian exports. The competitive devaluation of currencies around the world is another huge problem for Brazil. The engineered decline of the Brazilian real should have helped increase the attractiveness of its exports, but this has not happened to the extent that officials had hoped (see Fig. 1). This is because across the world governments have undermined the impact of this monetary policy by taking similar action themselves. Another by-product of the global devaluation of currencies is that the purchasing power of the Brazilian real has been significantly eroded, driving up the price of imports. A decline in export demand and a reduction of purchasing power, however, are just two prongs puncturing the country’s economy. One revolves around inadequate levels of investment in infrastructure, which has impacted the competitiveness of Brazilian businesses across all industry sectors. The Latin American powerhouse has also suffered from a major decline in its industrial sector at the hands of such structural weaknesses and, therefore, productivity has remained low for some time, driving up unemployment. In fact, the unemployment rate in the country rose to 6.9 percent in December 2015, according to data compiled by the Brazilian Institute of Geography and Statistics (IBGE), up from 4.3 percent during the same period the year previous. “Throughout the commodities boom, these issues could have been dealt with, but there was a continuous decline in the animal spirit in the industrial sector, and so there was a decline in investment in that area”, claimed Studart. What is more, as pace of economic growth in Brazil began to decline, the government tried to be counter-cyclical. But, according to Studart, the government ran into troubles while it was attempting to enact this fiscal policy because of how rigid its market economic management system is. “You cannot pump liquidity into the markets like the US and the EU have done, because you have a very tight inflation target system”, he stated. “And you cannot cope with public expenditure because there is a fiscal responsibility law in place. So, in order to deal with all this, the government did things that were not by the book. What this created was an economic environment where public spending was down and inflation was through the roof. When this happens the central bank’s only option is to raise interest rates, which forces businesses and individuals to cut back on spending, weakening the economy in the process. Combine all this with a depressed commodities market, a massive drop off in demand, and you have a recipe for economic catastrophe. Despite the economic woes the country is battling, there are a lot of reasons to remain optimistic. Right now, the exchange rate – which has made Brazil relatively inexpensive – has led to a massive hike in the levels of FDI coming into the country. 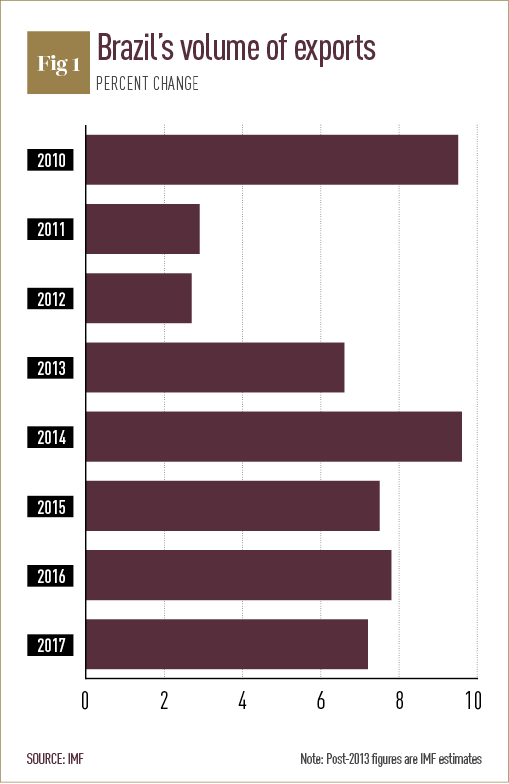 According to the Banco Central do Brasil (Central Bank of Brazil), the country has attracted more than $15bn in FDI in December 2015, which is way above market expectations. Overall, the long-term economic forecast for Brazil is still good. There is a significant amount of consolidations and M&A activity emanating from international investors. Brazil has become cheaper in terms of company evaluation, with the crisis impacting the prices of assets and commodities, forcing investors to take a second look at the country. It is important to remember that Brazil has had crises before, and even though this is one of the largest it has ever had to endure, it is arguably in the best place it has ever been to cope with the downturn. Many of its financial and government institutions, despite the recent scandals, are the best they have been in a long time, which is reason for investors to remain optimistic. Put simply, Brazil may very well be a mess, but it is no Greece. “Over the last 10 years the country has had so many mood swings when it comes to analysing what is happening in the world that we should be more humble and admit that we may have got it wrong again”, argued Studart. In his opinion, investors and economists need to have a more long-term perspective and should be thinking about where their investments are going to be in the next 10 years or so. The Olympics, therefore, will hopefully serve as a way for the country to regroup, offering a short reprieve and a slight boost in economic activity at a time when the country needs it most. If the event is a success and operates within budget, which it is forecast to do, then it will help lift the spirits of those within the country and cause those on the outside to remember all the good things, economically and otherwise, that the country has to offer.